How to make a latte & froth milk without a machine. I’m always looking for ways to save money without giving up too many of life’s little pleasures. One way I pinch my pennies is by eating out less, and that includes my previously daily latte splurges. Have you been spending less on expensive coffee drinks in these lean economic times? I just found out how to get my latte fix without signing my paycheck over to Starbucks or splurging on a DeLonghi esspresso machine. Lattes are just milky coffee. The only thing you need to make a latte is strong coffee and steamed milk. Of course, that steamed milk froth is the tricky part. 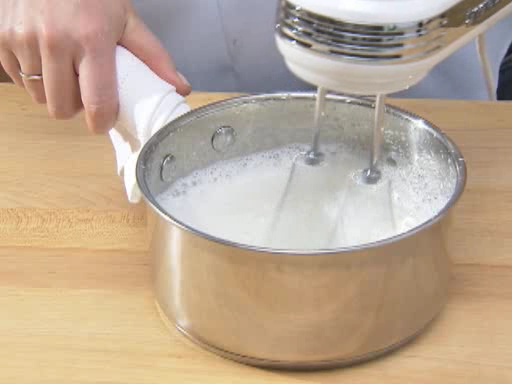 Luckily, Folgers Coffee shows you how to froth milk without a milk steamer in a quick video. All you need are is hot milk and a hand mixer and you’re in business. Got a tip on how to jazz up a cup of coffee? We’d love to hear it! Leave your suggestions in the comments.